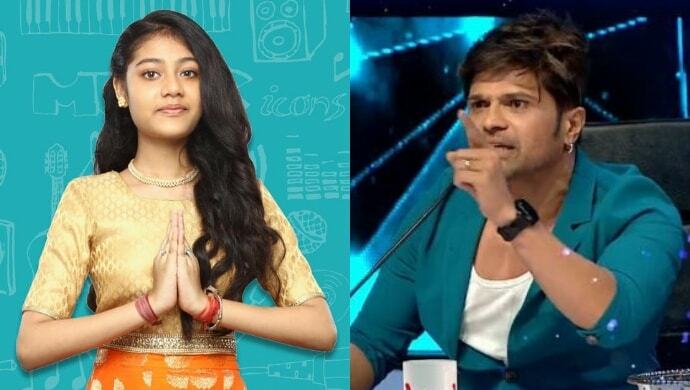 Smitten by her power-packed performance, guest judge Himesh Reshammiya offered contestant Anushka a song in his upcoming film The Xpose Returns. Whatever be the weekend plans, skipping Sa Re Ga Ma Pa Li’l Champs 2019 episodes is not on the list! Enjoying melodious performances by adorable young guns is literally food for the soul. Watching these kids put their best musical foot forward, there couldn’t be a better way to end your weekend nights if you ask us. Impressing the classes, masses and the critics alike, contestants of the reality singing show have been winning hearts across India. In the case of the latest episode, music maestro Himesh Reshammiya was smitten by a particular participant’s performance. Kolkata girl Anushka Patra crooned Sunidhi Chauhan powerful number from Once Upon A Time In Mumbai film, the Parda Parda song. Leaving the judges including Richa Sharma, Shaan, and Amaal Malil spellbound, Anushka scored a three-pointer in every sense with her rendition. She even took the Tera Suroor singer’s breath away! So much so that he ended up offering a song in his upcoming film. Praising Anushka’s performance, Himesh said, “Tum ready ho playback singing ke liye.” The music director announced that Anushka shall do playback singing for a song in The Xpose Returns which shall release shall next year. Moreover, he assured that it would be sung by Anushka alone and won’t be dubbed by any other artist. Notably, when Himesh had earlier made an appearance on the show, he’d introduce his favourite contestants to Baahubali maker SS Rajamouli. This time around, he ended up extending a full-blown playback singing opportunity! Now if this feat of Anushka’s doesn’t speak for her talent, we don’t know what does! Many many congratulations to Anushka. Besides Anushka, there were several others who impressed Himesh. What are your thoughts about Anushka’s big achievement? Who is your favourite contestant from the show? Write to us with your replies in the comments box below!